If you are one of those fans, you know that Powell's comic about a tough mob enforcer battling zombie priests, killer robots, hags, fish-men, and other assorted paranormal creatures is likely a tough sell as an animated movie, given the proclivities for outrageous violence and tough-talking gangster language that would limit it to a mostly adult audience. (Confusion with the Seann William Scott-starring Goon—or even the Matthew Perry sitcom Go On—probably doesn't help.) Nevertheless, Fincher remains committed to making it, with the voices of Clancy Brown and Paul Giamatti in the roles of The Goon and his right-hand man Frankie, respectively, and he and his fellow filmmakers are, of course, offering incentives in exchange for your help in furthering along the pitch process. 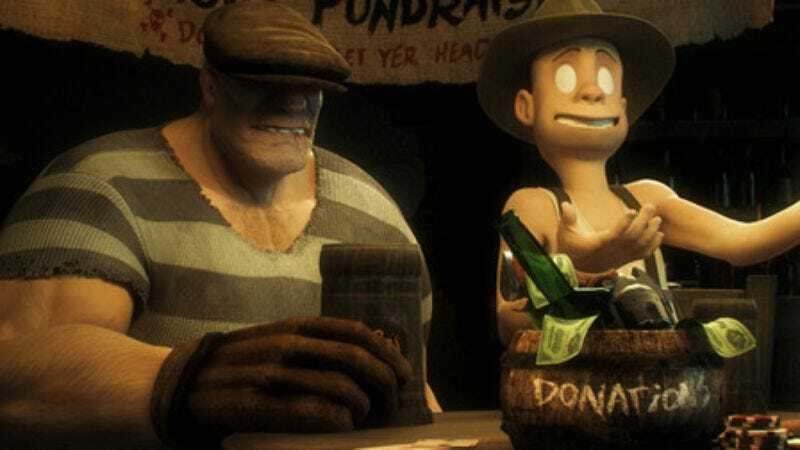 Donors get rewards like access to the film's production blog, T-shirts and autographed posters, original art, and even a bronze bust of The Goon himself. Of course, the greatest reward would be for someone to actually make the film, after you cough up money all so they can produce just a concept reel. But alas, there are no guarantees there.